This Escale bowl reveals a contemporary European silhouette that stylishly integrates with the Escale Suite. The angular, elongated bowl with included seat offers an artistic yet comfortable design. This bowl combines with the K-4472 Escale dual-flush tank to create the K-3588 Escale elongated toilet. Pressure Lite toilets raise the bar for exceptional bulk flushing performance. When paired with a Highline toilet bowl, the durable construction of this Highline Pressure Lite toilet tank with left-hand trip lever ensures years of reliability. 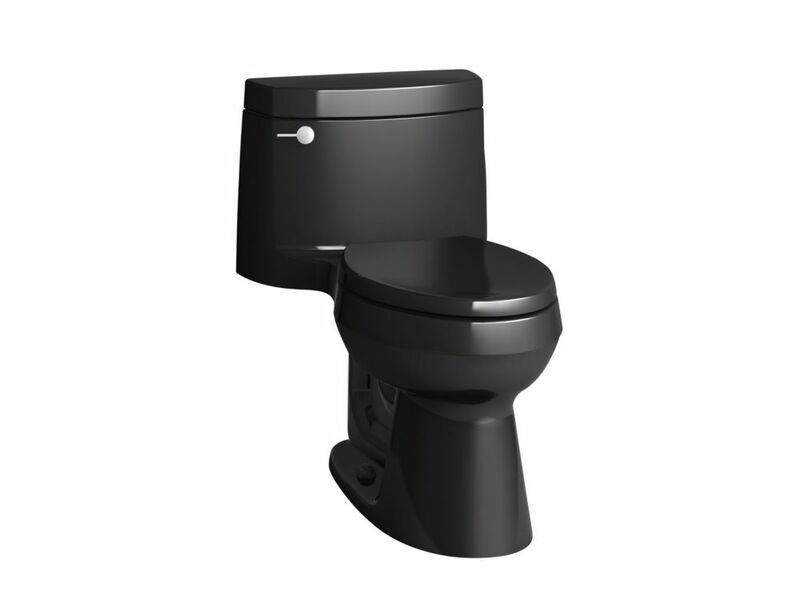 Cimarron 1-Piece 1.28 Gpf Elongated Toilet In Black Black With its versatile, fresh design, this one-piece Cimarron toilet matches a range of contemporary and classic decors. The elongated bowl offers extra room, with seating at the height of a standard chair for ease of use. A 1.28-gallon flush provides significant water savings of up to 16,500 gallons per year, compared to a 3.5-gallon toilet, without sacrificing performance. This toilet features innovative AquaPiston technology, a patented flush engine that delivers a fast, powerful, and virtually plug-free flush.